Dr Lachlan Urquhart (Lecturer in Technology Law, University of Edinburgh) and Dr Martin Flintham (Assistant Professor in Computer Science, University of Nottingham). Lachlan.urquhart@ed.ac.uk and martin.flintham@nottingham.ac.uk Jan 2019. 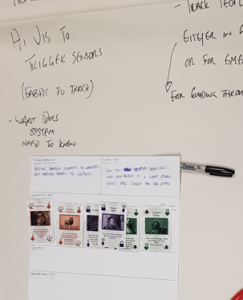 This involved using more creative decks such as our older Privacy by Design cards, Dixit cards, Know Cards for IoT design and Ideation, and even Brian Eno’s Oblique Strategies. 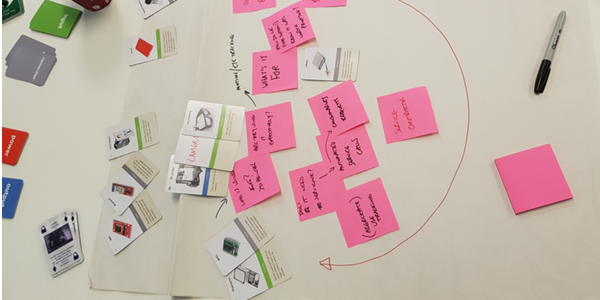 After this, we asked participants to evaluate their IoT systems using our Moral-IT and Legal-IT decks of cards, a design tool developed within Horizon to prompt critical questioning of the ethical risks and support engagement with topics of privacy, law, ethics and security. Importantly, we also used our streamlined ethical impact assessment process, which required them to consider the risks, likelihood of occurring, safeguards, and challenges of implementing these safeguards. 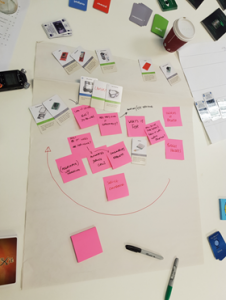 This helps participants to systematically consider the different aspects of new technologies, and structure their thoughts and ways forward. https://lachlansresearch.com/the-moral-it-legal-it-decks/ developed with Dr Peter Craigon within our Horizon Digital Economy Research Institute funded MoralIT: Enabling Design of Ethical and Legal IT Systems Project.